Recently, the term ‘Fake news’ has become really popular, but with today’s photoshop abilities, even those of us with the most observant eyes may easily be fooled. From the viral rice wave to a photo of the first dab in history, how many of these photos do you believed to be 100% real? This list compiled by Bored Panda will show you the reality behind popular viral photos so prepare yourself for some eye-opening shots that will prove once again – you can’t trust everything you see online. A photo of a lion strapped onto a machine in order to make the iconic MGM intro of a lion roaring is actually a photo of a lion being diagnosed at the vet’s office. Luckily, the lion made a wonderful recovery and is now completely healthy. Also, an interesting fact is that there have been 7 lions that were used to create the MGM intro, the current one, who’s name is Leo, has appeared in most of the movies since 1957. One of the recent viral sensations was the ‘fried rice meme’ that showed a man making an incredible rice wave in his pan. 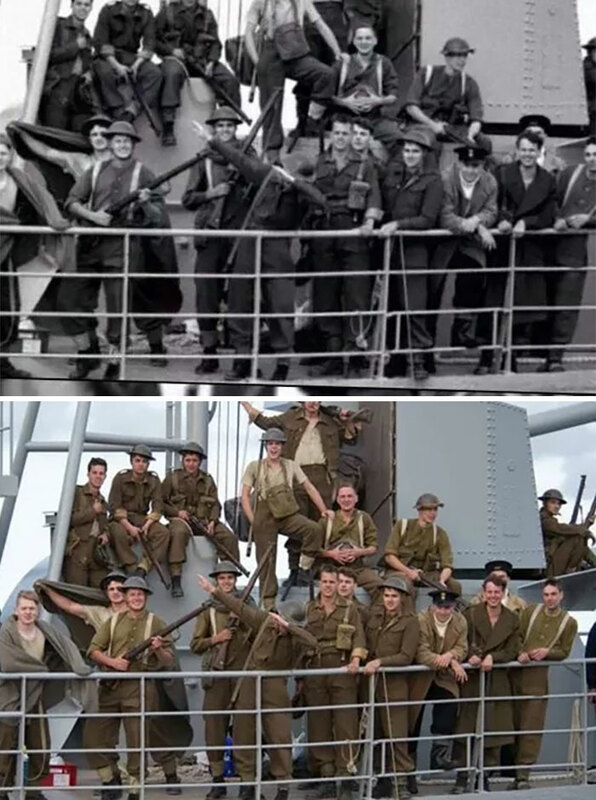 The image quickly received a lot of attention online and people from all around the world starting photoshopping random things into the image. 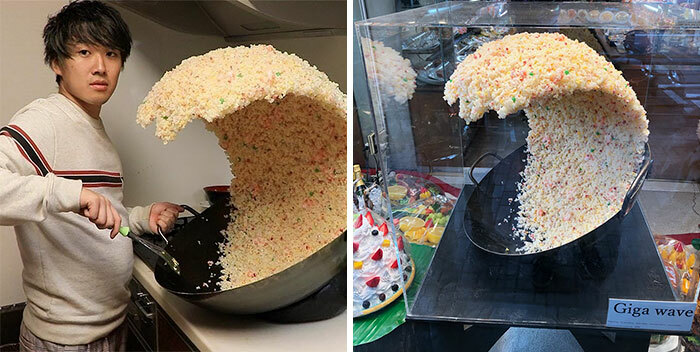 Unfortunately, the photo itself is already fake since the rice wave is a sculpture that is sold in a fake food shop in Tokyo. 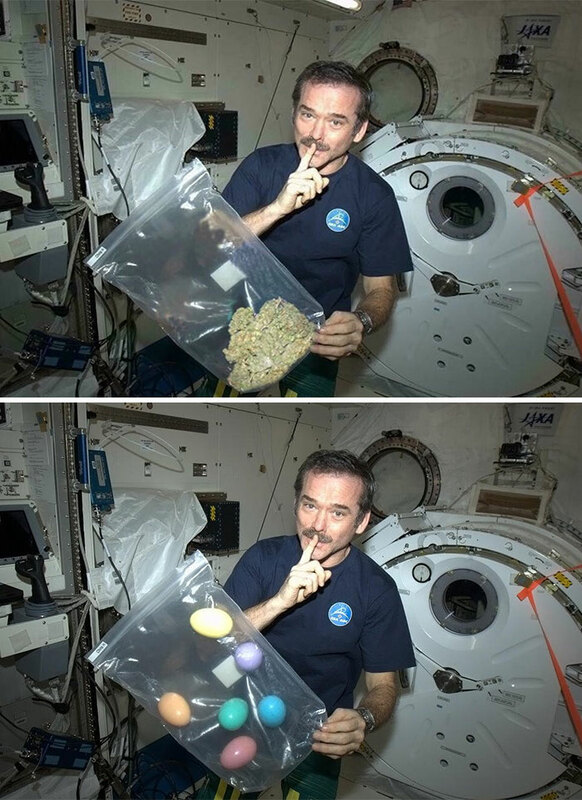 It’s safe to say that Chris Hadfield is one of the most beloved Astronauts there is. His incredible vlogs from space answered so many questions about life in zero gravity, from cleaning your teeth to sleeping, everything is different in space. Although this form of vlogging is very one-of-a-kind, you shouldn’t think that this incredible guy would use any type of drugs while literally flying in space. Chris was actually just trying to surprise his co-workers with some Easter eggs! The internet just loves animals, especially if they look weird or cute, or both at the same time. 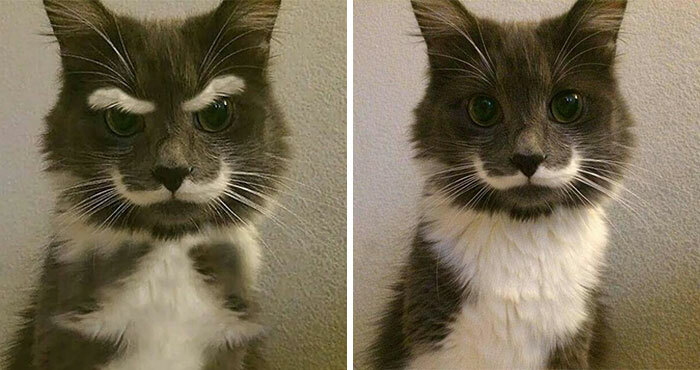 So there is no surprise that a photo of a cat with adorable mustache and eyebrows would go viral. Well, there is a silver lining to this story, the cat does in fact have that incredible mustache. A photo of a kid sleeping near his deceased parents’ grave in Syria turned out to be completely staged since the kid knew the photographer and the graves did not belong to his parents. Although this type of photography is still completely heartbreaking it proves once again you can’t trust everything you see online. Some time ago this photo was an absolute representation of internet humor, the ironic mistake was something that people constantly shared online. Unfortunately, the photo was photoshopped so well, it wasn’t so easy to understand it was actually fake. 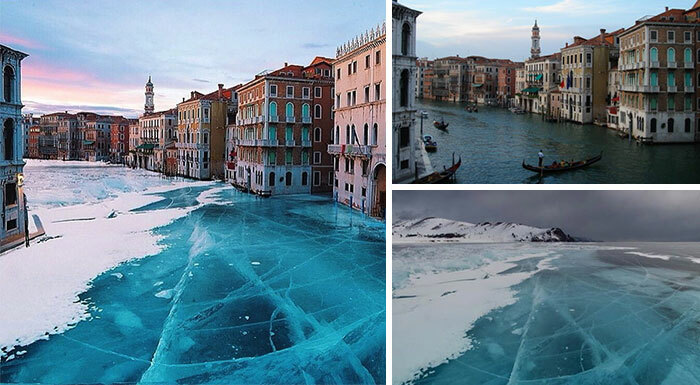 Venice is definitely one of the most beautiful places to visit around the world so there is no need to photoshop a photo of frozen Lake Baikal in Russia to make the place look even more stunning. One of the most recent viral sensations was a woman weirdly squatting on a tiny shelf. 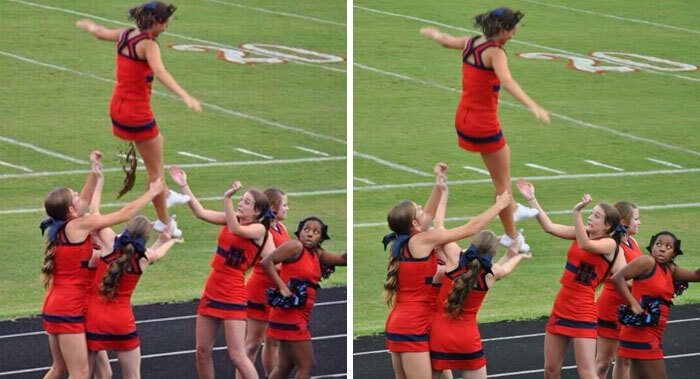 Turns out she only lifted one leg, which, to be honest, is still kinda weird. 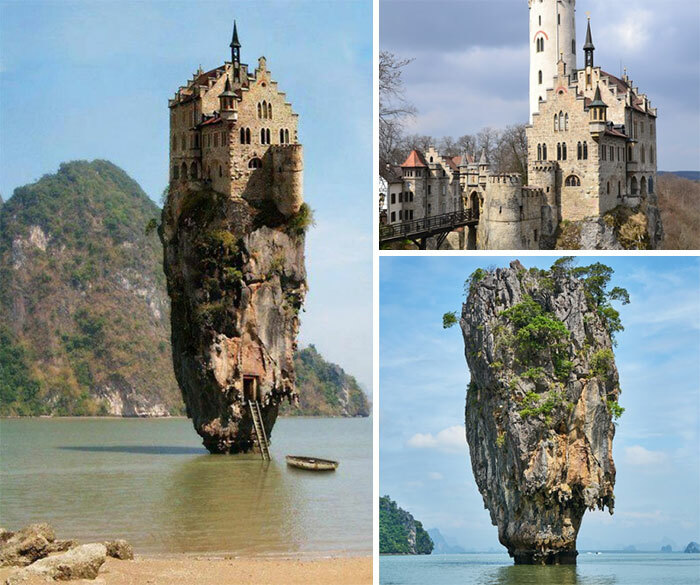 This magical castle that probably most of us would love to visit or even stay in is unfortunately a combination of a photo of a rock in Thailand and a castle in Germany. This iconic selfie of a pilot photographing himself in the air was actually a photo of him when he was safely landed, but it’s important to mention, that even on the land, it’s a pretty cool selfie! Lenticular clouds are already pretty cool as they are, and there is no need for excessive photoshop to make them look better. 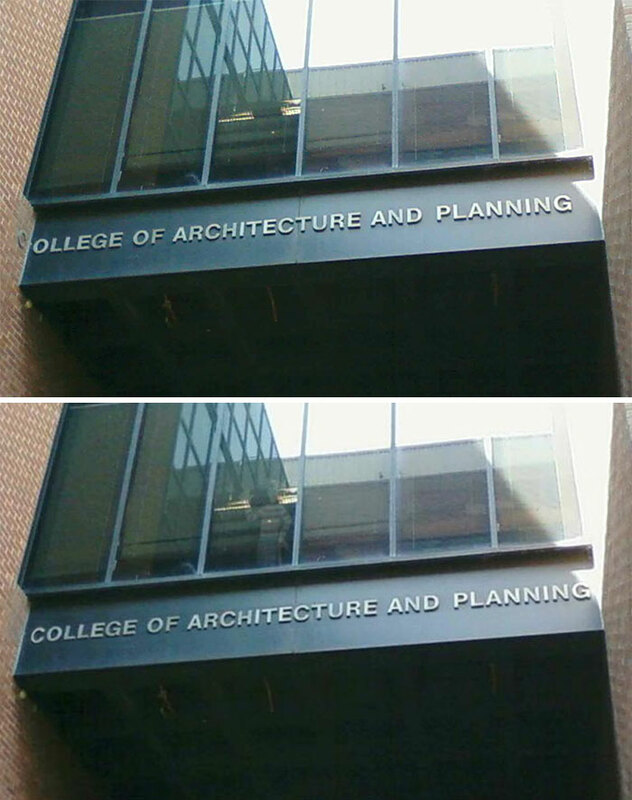 Unfortunately, the author of the photoshopped version didn’t really think that way. Well, we guess the whole internet didn’t think that way, since the fake photo became a desktop of choice for many people. If we could make a list of the internet’s most beloved topics, weird animals would definitely have their place in the top 10. It seems that finding weird and unique species is something everyone thrives in, and although it is a cool thing to come across a unique animal, there is no need to create one with photoshop, or if you’re doing so, please do not try to trick people into thinking it actually exists. Recently the hashtag #10yearchallenge went viral with people from all around the world sharing their changes throughout the years. Some people decided to use the hashtag to warn people about the terrible impact we are having on this earth. One of the biggest environmental problems in 21st century is deforestation, and that’s exactly what people tried to warn us about. 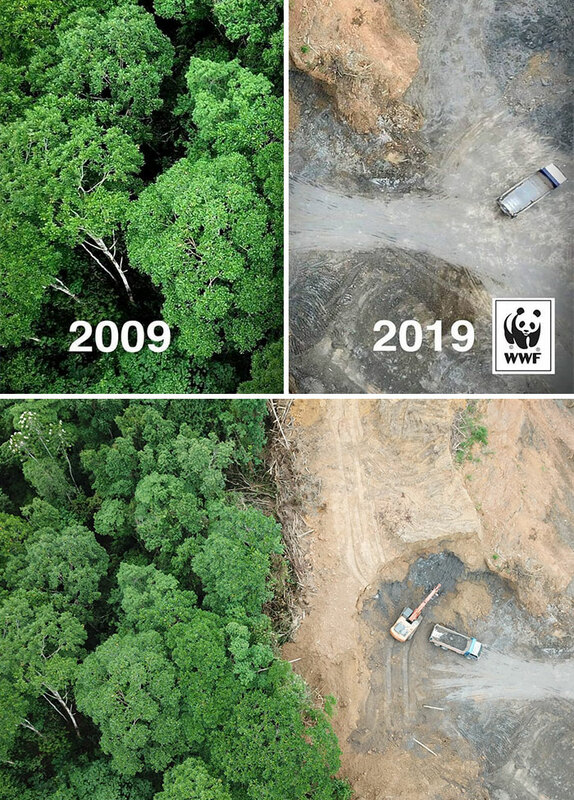 Unfortunately, the image that was used to spread the message was fake – the before and after photos of a rainforest cut down completely was actually the same photo. 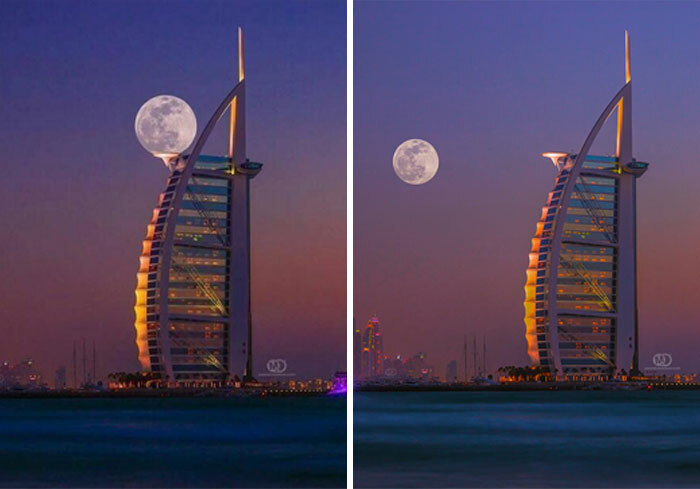 There’s is a weird obsession with moons in viral photos, it seems that if you really want to have a popular photo, just add a moon in the most unrealistic place and there you have it. That’s exactly what happened with this photo taken by Mo Aoun. 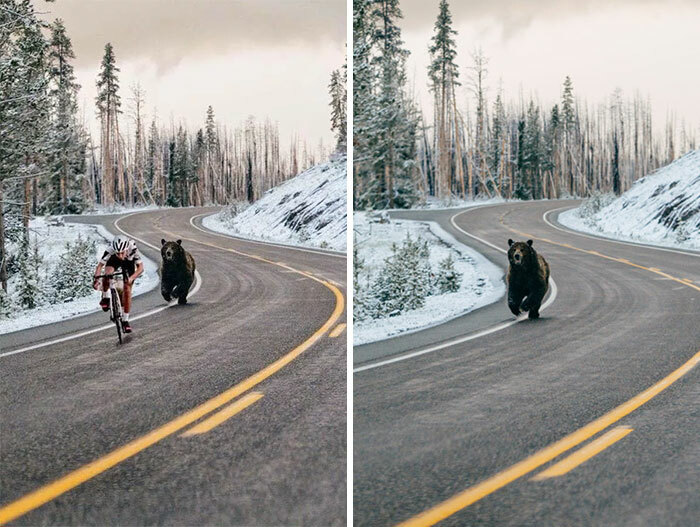 Even though a photo of a bear chasing a cyclist will have a far bigger effect on you than a photo of a bear running through an empty street, luckily, nobody was harmed in the making of this photo. Although there’s not much information about the original photo, it is believed the photo was taken Yellowstone National Park. 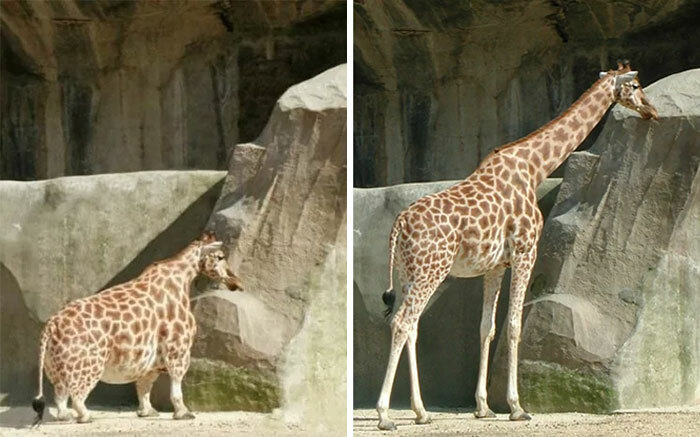 A photo of a giraffe with dwarfism has been used online multiple times, although giraffes, like other animals, can have dwarfism, this photo is actually fake. The internet is filled with photoshopped images of archaeologists finding huge skeletons that might belong to giants. If this was the reality, a new chapter in history would be open and we could consider some myths to be true. Unfortunately, no science or history museum has ever accepted these findings for one simple reason: the photos that show these skeletons are completely fake. Oh how cool would it be to have two beauty icons chilling in one photo. Unfortunately, Elizabeth Taylor was photoshopped into a picture of Marilyn Monroe. 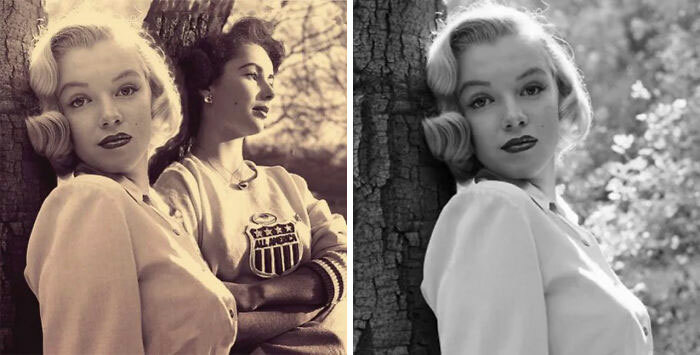 In fact, this is not the first time Marilyn Monroe’s photos were photoshopped to seem that she is spending time with iconic celebrities such as Elvis Presley, James Dean, and even John F. Kennedy. 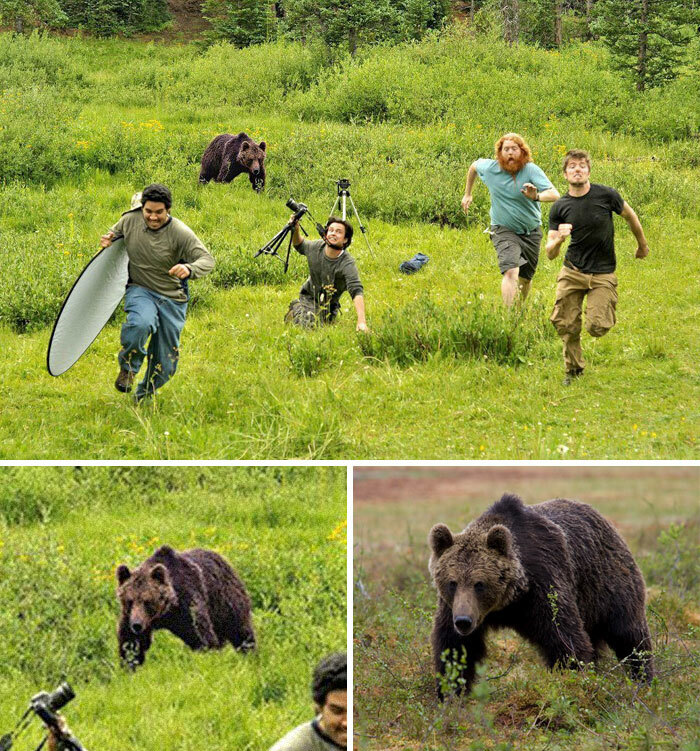 A photo showing a bear chasing a group of National Geographic photographers would send shivers down anyone’s spine. Just imagining being in such a dangerous situation is terrifying. But since we have already proved there’s no point in believing everything you see online, you can stop feeling bad about these photographer,s since the bear in the photo is actually captured in a stock photo that can be easily found online. Although all of us would hope that the first dab was captured back in the 20th century, meaning this iconic movement will never age, unfortunately, this photo is actually a behind-the-scenes photo from the movie Dunkirk, shot in 2017. Photos like this will definitely in spark you a great desire to travel. Imagine yourself sipping on a delicious cocktail while chilling on an island in the middle of the ocean that is a shape of a star. 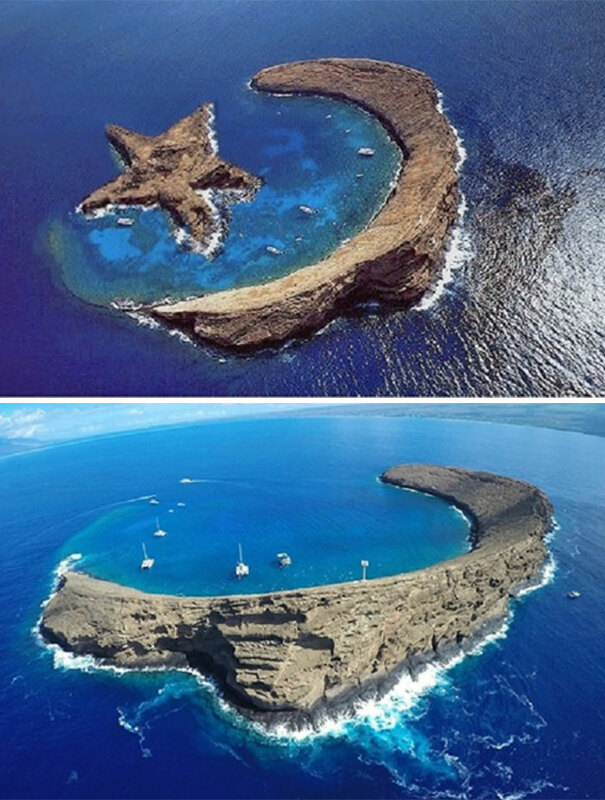 Well, unfortunately, such an island doesn’t exist, but what you can do is visit the moon-shaped island Molokini, located between the islands of Maui and Kahoolawein Hawaii. This would be an amazing mountain to visit, but if it actually existed, there is a great chance you would know more about it and more people would visit it. Also, there would be a far greater amount of photos from this location. 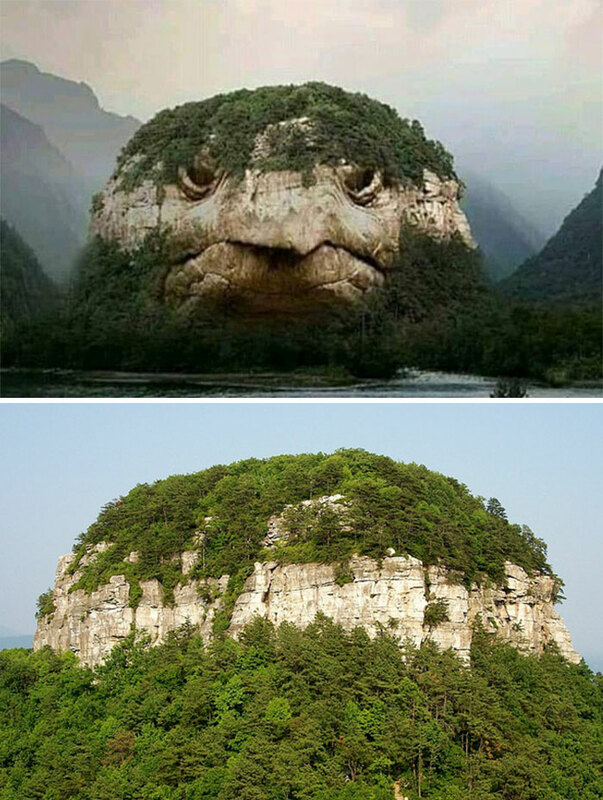 So, when somebody went to that location and actually captured the mountain, it was no surprise that the “Turtle Mountain” is actually just the simple, yet beautiful “”Pilot Mountain” in North Carolina. The famous celebrity Paris Hilton is mostly known for spending a huge amount of money on things none of us could possibly afford. 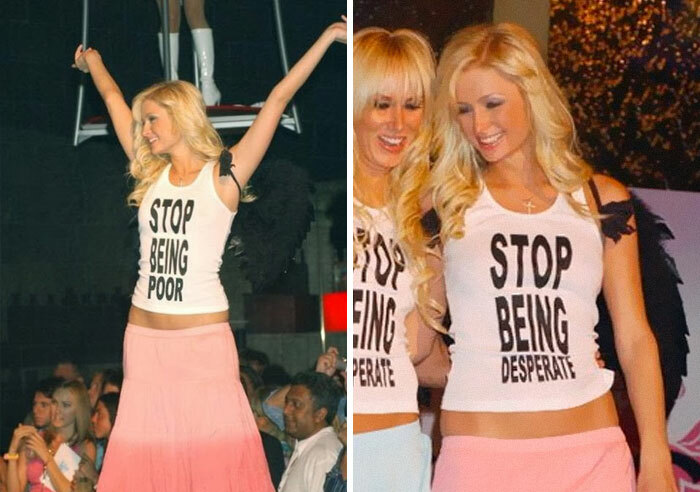 Even though this person doesn’t have any problem with publicly showing her inherited money, she’s definitely not that ignorant to wear a t-shirt that calls other people poor. She just calls them… desperate. Well, it’s better than poor. Right? The internet is full of photoshopped pictures that just don’t make any sense and somehow we still manage to believe them. 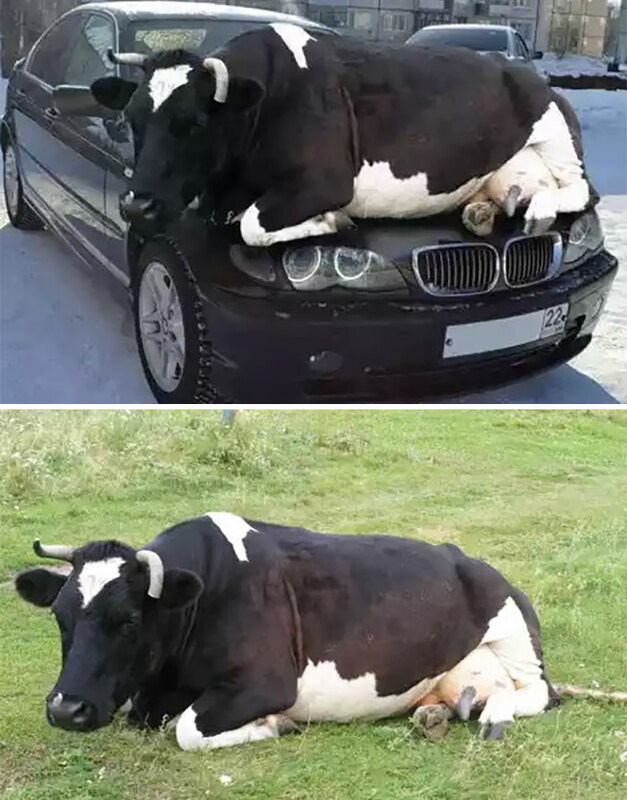 One of those fake viral photos was a picture of a cow chilling on a BMW. Well turns out, no car was damaged in the making of this photo since the cow was chilling on the grass like it was supposed to. There is always a lot of controversy and fake news during the elections, especially in a country as big as the USA. So, there is no surprise that back when Mitt Romney was running for president, people were trying their best to ruin his campaign. 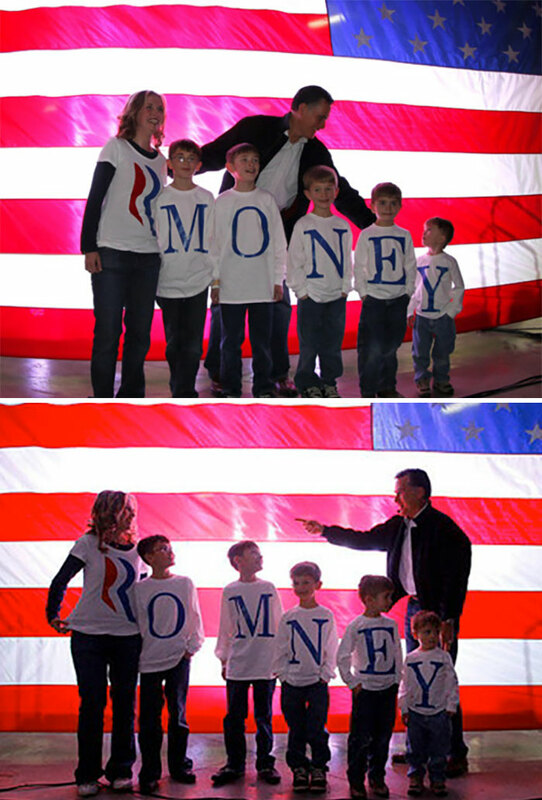 One piece of fake news that surfed the media was a fake photo of Romney’s spelling the word ‘Money’ instead of his last name ‘Romney’. 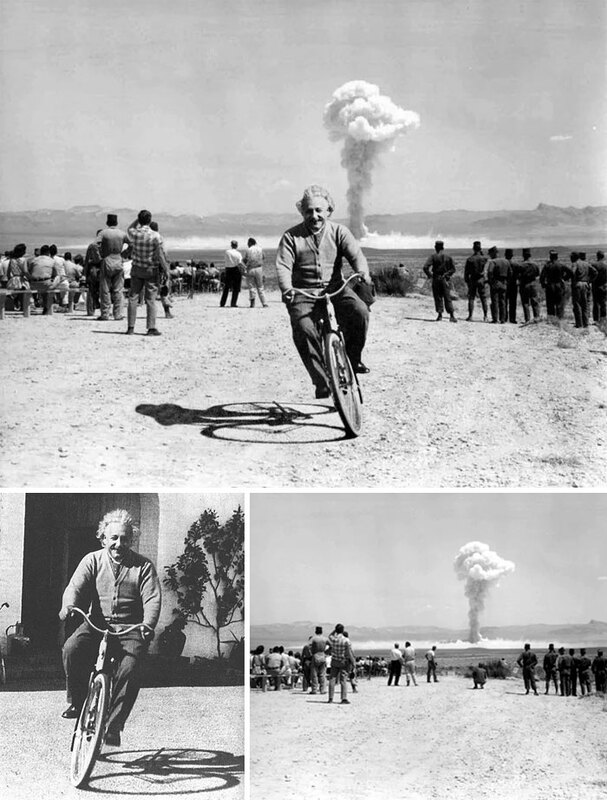 This photo of an explosion was actually taken 7 years after Einstein’s death, so even if cool guys don’t look at explosions, this was definitely not the case. A magical photo of India during the Hindu festival is actually a composite of satellite images shaded different colors. 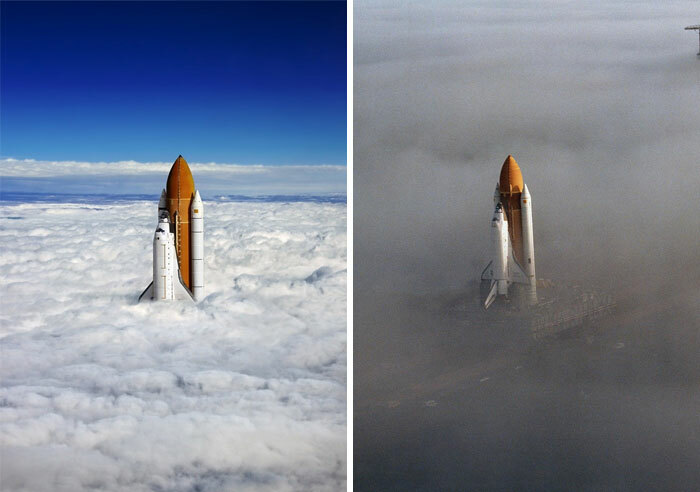 A magnificent photo of a space shuttle once again fooled many people and it quickly became a popular image to share online. What bothered many people is the need to even photoshop the image since the original one is already really cool as it is. The horrible 9/11 story still remains a mystery for the most part, various conspiracy theories surf the Internet without anyone giving the real answers. So, there’s no doubt that when a photo taken just a moment before the tragedy happened was posted online, people quickly started sharing it. Well, luckily the man in the photo did not witness the tragedy take place. That’s probably the only good thing there is to say about this awful event.